Order your ACME Norman Moore Designed Paint Splash Card Case today from FahrneysPens.com. Fine Pens, Refills & Luxurious Gifts – great prices & fast shipping. 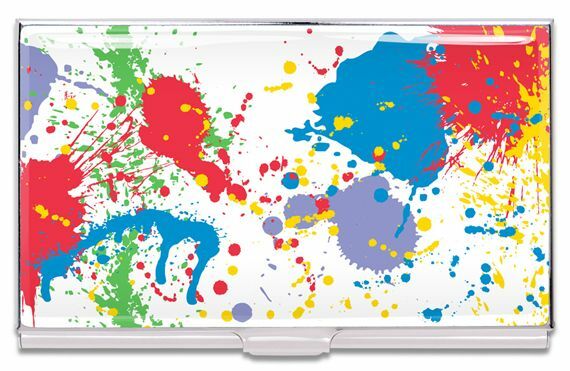 ACME's brilliant new "Paint Splash" card case is designed by Scottish designer, Norman Moore. Splashes of paint are on the steel card case, layered with clear lacquer and trimmed with polished chrome. The ACME logo is stamped on the back. Presented in a black sleeve. Paint Splash also comes in a fountain pen with steel nib and capped rollerball.